The Texas Instruments TIL306 and 307 displays are intelligent single-digit LED readouts featuring a built-in decade counter and BCD output. The example pictured here is a Dialco-branded variation, yet the TI logo is clearly visible through the epoxy. 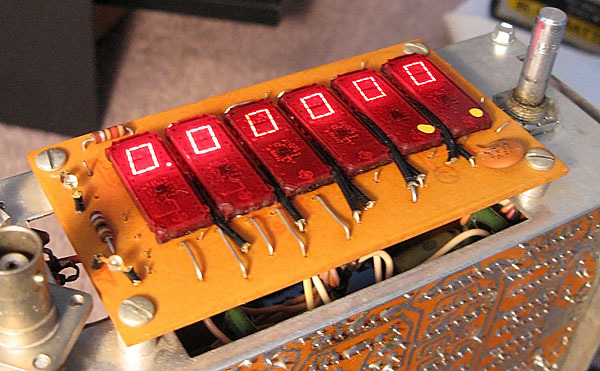 The inclusion of a decade counter within an LED display quickly proved to be a failure in the marketplace, and TI and other companies largely abandoned their pursuit of such products to focus their energies on BCD and ASCII based displays. The TIL306 and 307 differ only in their placement of decimal points; the TIL306 has a left-hand decimal point, while the TIL307 is equipped with a right-hand decimal point. 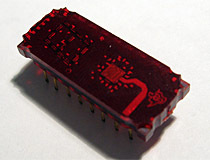 Texas Instruments TIL306 LED display. 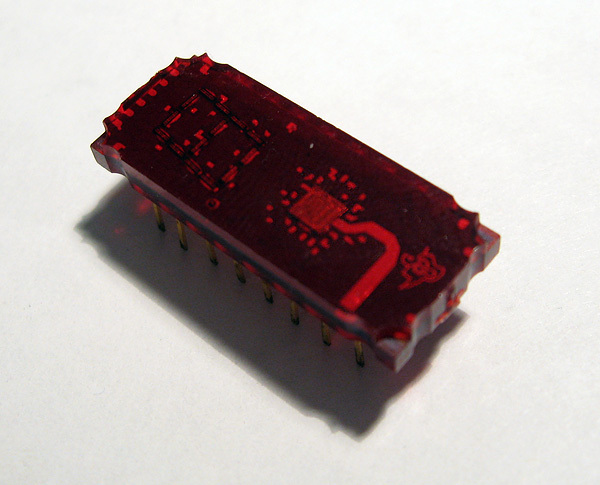 The TIL306 has a built in decade counter and display driver located on a silicon die below the digit. A set of six TIL307's installed in a piece of test equipment.